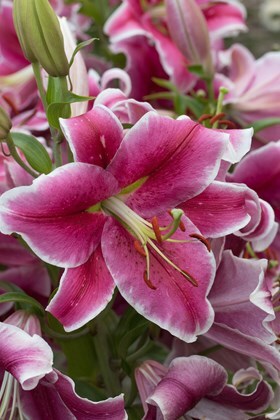 For scent, drama and beauty the lilies are hard to beat, truly one of the nation''s favourite flowers. 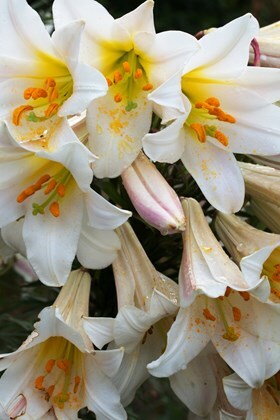 However do remember that many of the lilies are derived from plants that thrived in monsoon conditions. 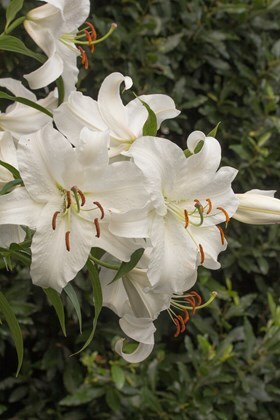 They thrive on a combination of high rainfall and good drainage! 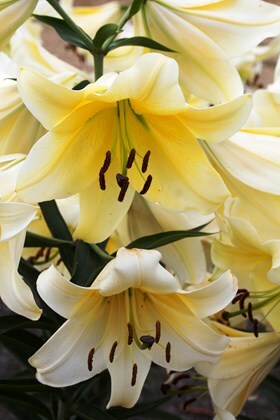 So in an effort to lock in what water can be spared near the plant do add lots of humus to the soil when planting and because many are stem rooting (the area above the bulb offers anchorage and sustenance it may be necessary to plant them quite deeply. Lily beetles are a scourge, and being red and black and very visible, they are eminently squishable but their larvae in a slimy protective blanket are worse to deal with. 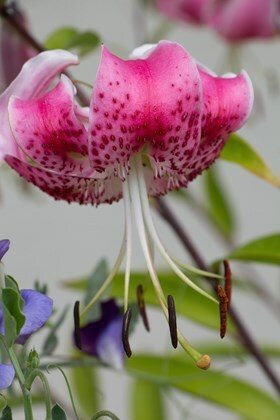 Throughout much of the UK they are now a pest for which there seems to be no natural predators.